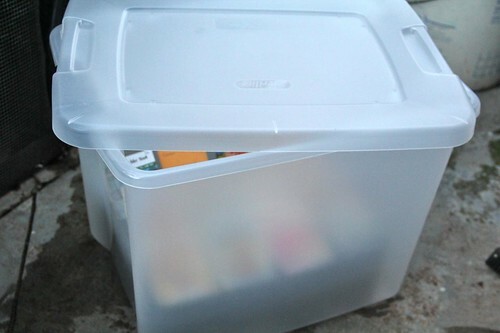 Everyday when I go out in the garden, I check the seeds that I’ve sown to see if anything new have sprouted. As I was walking by, I noticed that the soil in the two trays with the Wildflower and Flower Garden Mix was uneven. I think the birds have been using this as a bird feeder! 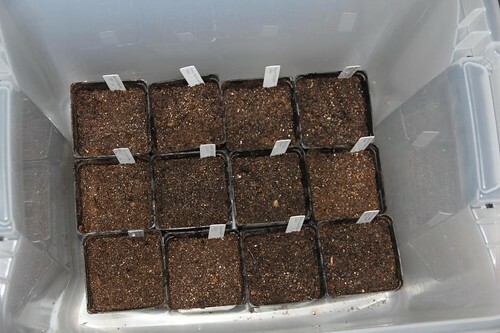 Argh!… I’ll probably have to sow more seeds and put these trays into a dome or in the patio. After harvesting some carrots yesterday, I was excited to sow more seeds. 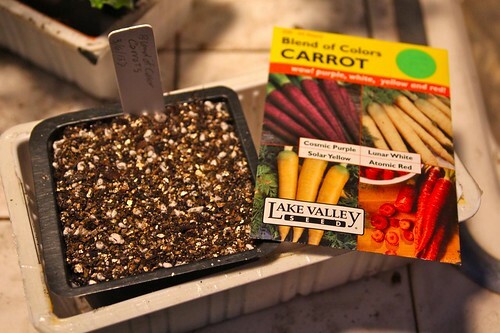 I planted a square 3″ cell pack with Blend of Colors Carrot Mix. I’ll have to search online to see if I can get just purple Carrots. 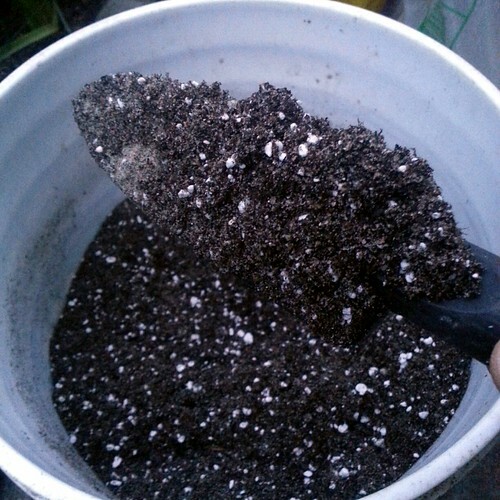 I was running out of Cactus Mix, so I mixed up some using 4 parts regular potting soil, 1 part play sand and 1 part perlite. 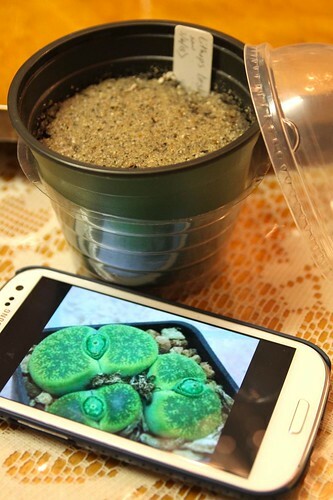 I used this mix to sow Lithops lesliei ‘Albinica’ seeds into a 3″ pot. I can’t wait for these to grow. I’ve been watching the fruit trees to see what fruit tree is about to open it’s bud so I can start grafting onto it. 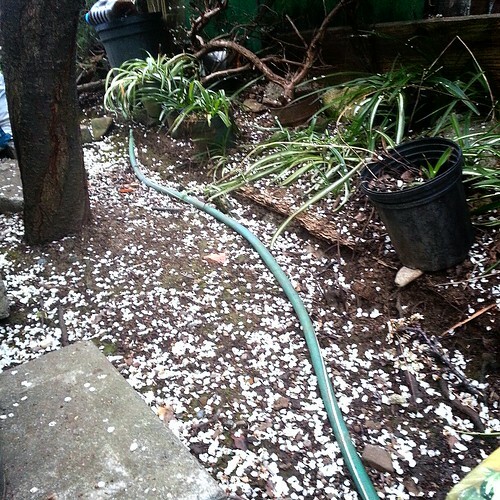 So far the Asian Plums have bloom and the flowers are starting to fade. It looks like it’s been snowing. The Cherry and the Peach trees look like they will open within a week. 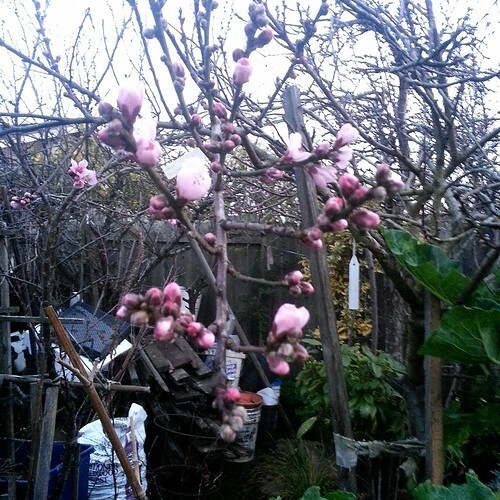 The Stark Saturn Peach graft has already bloomed ahead of it’s host Elberta Peach. 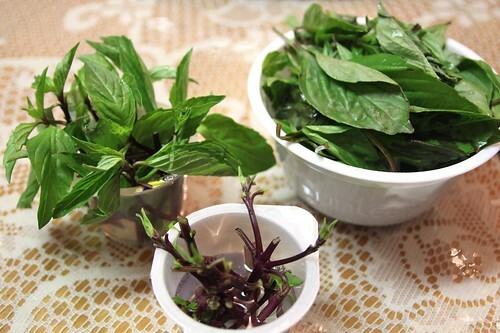 After heading back inside when it got too dark to garden, I plucked the leaves off a bunch of Thai Basil I bought at the Asian Grocery… and saved a few cuttings to hopefully root. I’ll make a Basil Eggplant dish with the leaves tomorrow.